Tata Housing offers tata destination 150 - a luxury residentail project in sector 150, Noida which is spreading over 600 acres with 80% of grrenery on its heart. Tata Value Homes Noida is offering 2&3 bhk apartments with all modern facilities which is best suited in its class of comfort. 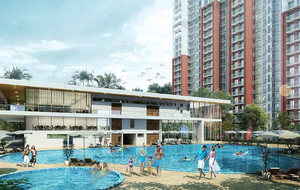 Tata destination apartments is coming with staring price as rs 55 lac.